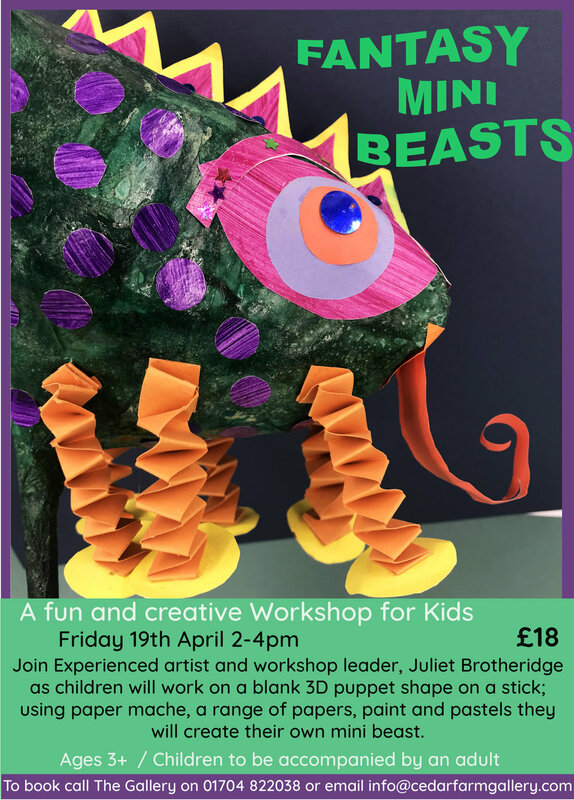 Join us in the Easter holidays for this fun, creative and hands on workshop led by experienced children’s workshop leader and artist, Juliet Brotheridge. 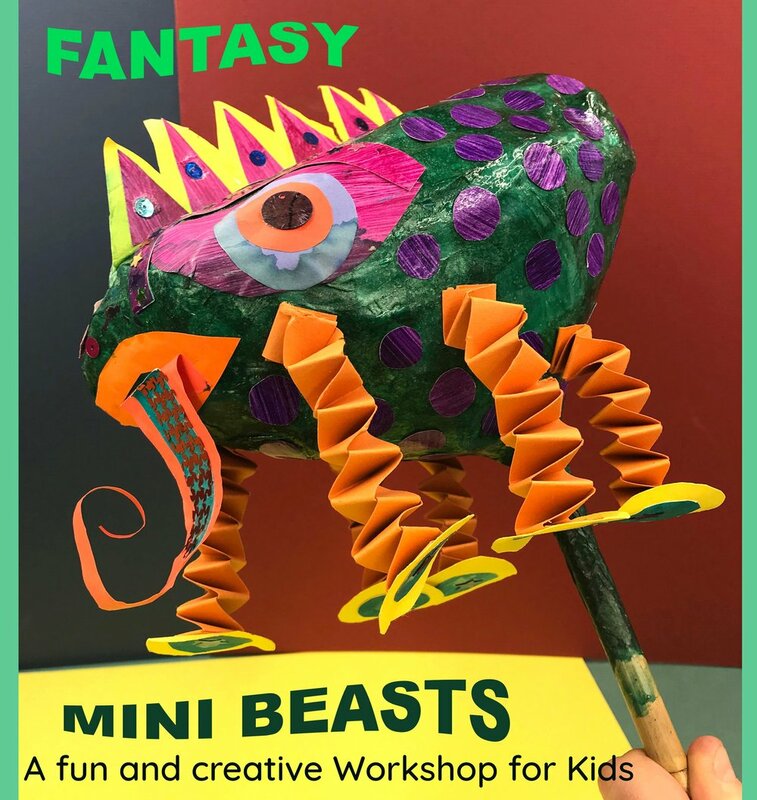 Children will work onto a blank 3D monster shape on a stick; using paper mache, a range of papers, paint and pastels they will create their own mini beast puppet, perfect props for stories and acting out! Suitable for ages 3 and up. Children to be accompanied by an adult.